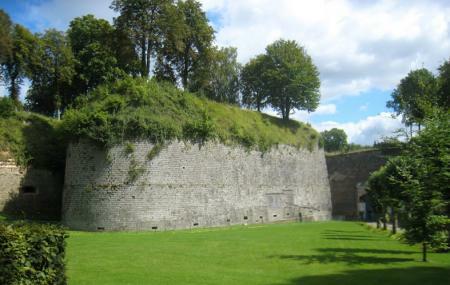 The Citadel of Doullens built in 1530 it represents the hybrid of a medieval castle and bastioned fortress. France was repeatedly attacked by the Spaniards by the forces of King Charles V. So as a safety measure King Francis ordered the construction of this strong citadel on the borders. From being a military fortress in the 16th century to being a place of detention in the 17th to a cantonment to store ammunitions and supplies during the world wars and today it’s finally a tourist attraction. Its sandstone architecture gives it a unique status among other French citadels and is known for its strength. Apart for being a tourist spot the place hosts a number of events and competitions like exhibition of vintage cars, ATV motorcycle championship, shooting, music & cultural festivals. Other times round the year, visits only by appointment. How popular is Citadelle De Doullens? People normally club together Les Jardins De Sericourt (arras) and Site De Folleville while planning their visit to Citadelle De Doullens. Found this by luck when passing on holiday. Excellent guided tour from a young lady who is obviously passionate about preserving local history. Wonderful site full of history, military and social. I only hope the local authorities spend money to preserve many parts of it's varied past which are in imminent danger of collapse. Tour costs 6 euros but lasts 90 minutes. Recommended.